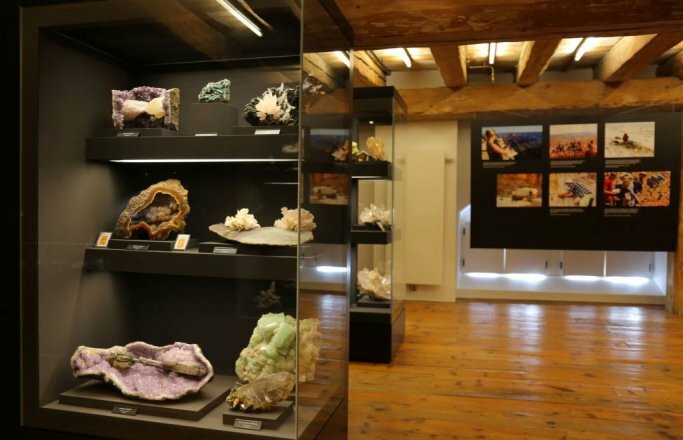 On the occasion of its 10th anniversary, terra mineralia commemorates its founder, Dr. Dr. h.c. Erika Pohl-Ströher, doctor of biology, and dedicates her the special exhibition "Diversity counts!". The exhibition is a multimedia and interactive expedition through the fascinating diversity of wildlife, plant and fungus species and microorganisms. This biodiversity, or "biodiversity," is the basis of all life. But human transformation of the earth threatens the diversity of species. There is little secured knowledge about the effects. That's why researchers want to understand biodiversity and find ways to preserve it. At ten stations, the traveling exhibition conveys what biodiversity is, how it is researched and why it is so important and worthy of protection. Over 50 exhibits and media installations invite you to observe, participate, and experience. The German Research Foundation (DFG) supports biodiversity research in numerous research projects. With the traveling exhibition "DIVERSITY COUNTS! An Expedition through Biodiversity", the DFG is opening up biodiversity and its research to the public and, through its own experience, raises awareness of the importance of biodiversity. 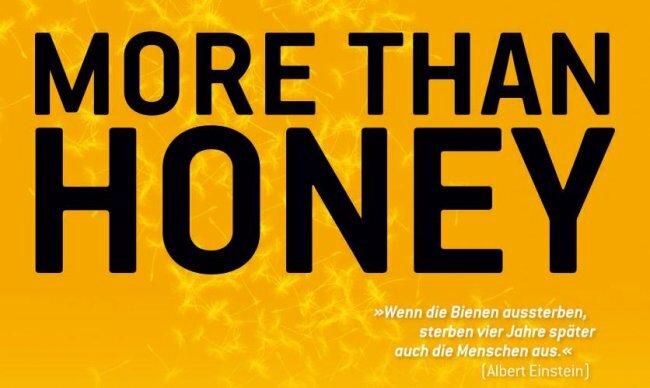 In cooperation with the AG Cinema of the Studentenwerk Freiberg, we present the award-winning documentation about the life of bees in the modern age. Impressive images are dedicated to the immense importance of bees for humans and nature around the world. Because the topic of our special exhibition "Diversity counts!" concerns these little creatures very much and causes a lot of controversy. Therefore he should not be missing in our supporting program. Following: Panel discussion with bee experts. As guests we welcome Sebastian Högen (ödp, city beekeeper from Dresden), Andreas Schlemminger (beekeeper Sommerlinde Freiberg e.V. ), René Schieback (head Saxon beekeeper school) and Andreas Golde (Fachschulzentrum Freiberg-Zug, specializing in agriculture). Capricorn, Cactus, Gecko - Who's where? Kangaroos in Australia, cactus in the desert, river dolphins in China or ibexes in the Alps - they all live near to famous mineral deposits. Take a special journey around the world at terra mineralia. Here you will learn in an exciting search game the most fascinating minerals from the most beautiful places in the world and find out which animals and plants occur there. Getting into conversation with a real scientist? No problem! The traveling exhibition "Diversity counts!" Makes it possible. A topic of the exhibition is explained in detail and related to recent research in the field of geosciences or mining. The offer is designed dialogically: It should encourage questions and lead to exciting discussions in the group. The exhibition will start with a short keynote speech. Depending on the topic, the scientist shows in the hands-on lab "Forschungsreise" suitable handpieces and rehearsals or short film contributions and photos. Participants are invited to actively participate, to study, discuss and ask questions. "Biodiversity in an acid ocean"
"I love you, I do not love you, I ... relationship models between plants and insects"
"Plants as miners - diversity creates profit"
"Discover the unknown or how species get their names"
"Raw materials in the deep sea - An option for the future?" "Fossils - evidence of biodiversity in the history of the earth"
"Water, forest and meadow: historical perception of nature in the documents of the Bergarchiv Freiberg"
"When is a forest a forest?" What do oak, squirrels and hawk have to do with each other? The students get to know the diversity of common habitats in the forest, meadow and ocean using known animals and plants. This is how the children experience why diversity is so important to us as well. After the tour through the exhibition, we develop with the students the model of a green city in which people, animals and plants live together. Curriculum GS, Expertise Kl. 1-4, LB - Encounters with plants and animals. Biology, OS and GYM Cl. 5, LB 2-6 - Fish, amphibians, reptiles, birds, mammals in their habitats. Cl. 6 LB 2 - Forest as a community. Organizational form Participation tour Duration 2 hours Price 55 Euro plus admission. The more diverse nature, the more liveable the planet Earth is. Divided into research teams, students tackle the complex issues of biodiversity. They learn about different ecosystems and the relationships between humans, animals and plants. As a goal of their research, the pupils should develop ideas in the form of a poster, how we can live in the future in the sense of diversity. Curriculum Biology OS, Cl. 10, LB 1 - Fundamentals of Biodiversity. LB 2 - Biological Problems of Globalization and Biological Research. GYM, Kl. 9, LB 2 - Ecosystem Relations, LBW 1 - Microcosm Meadow. Cl. 10, LB 2 - Origin of Species Diversity, LBW 2 - Origin of Life on Earth. Kl. 11, GK + LK, LB 3 - Ecology and Sustainability, Cl. 12, GK + LK, LB 4 - Synthetic Theory of Evolution. Organizational form Group jigsaw puzzle Duration 2.5 hours Price 65 Euro plus admission. 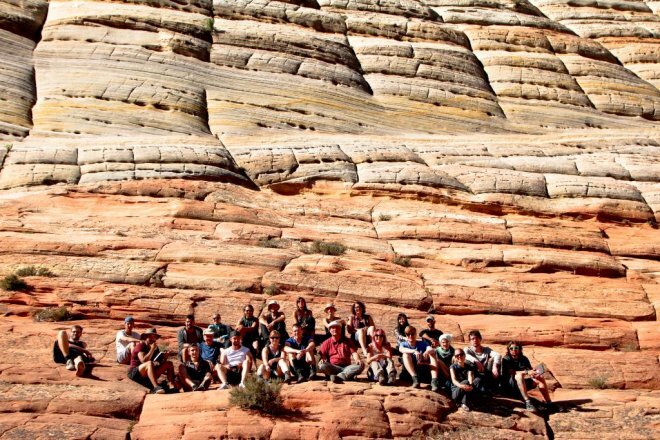 West-USA-Field Trip 2016, Zion National Park, USA, Photo: Gabriel Unger. 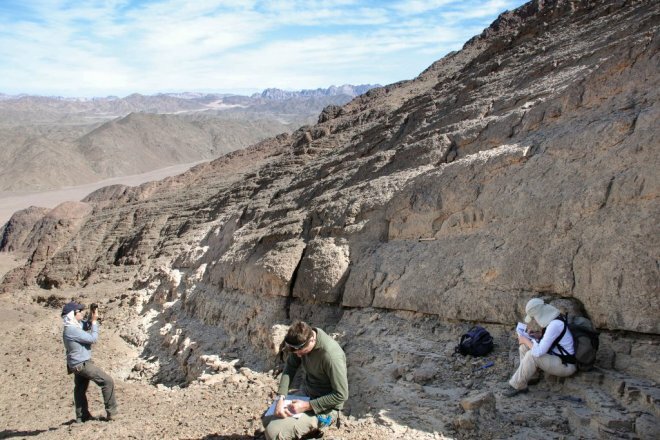 Excursion Northwest Argentina with Prof. Dr. Christoph Breitkreuz, Photo: Eric Hohlfeld. Fieldwork 2010, Egypt, photo: Prof. Dr. Christoph Breitkreuz, TU Bergakademie Freiberg. 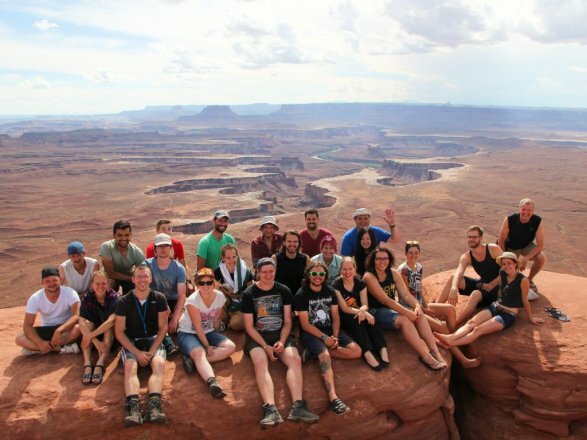 Big Field Trip 2016, Utah, USA, Photo: Gabriel Unger. Field Work 2010, Egypt, Photo: Prof. Dr. Christoph Breitkreuz, TU Bergakademie Freiberg. 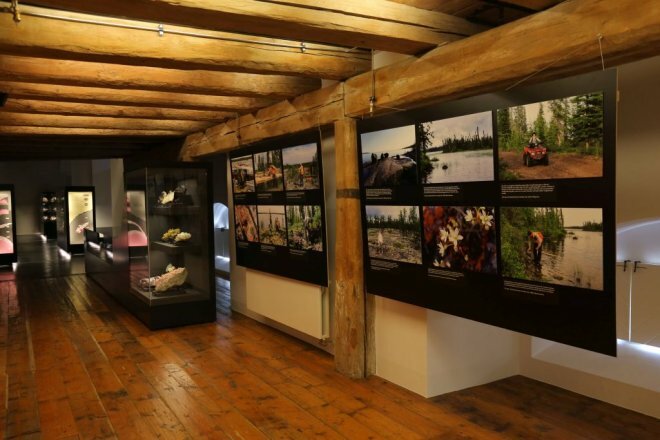 Following the success of last year's photo exhibition on the faces of small-scale mining, the terra mineralia, permanent exhibition of the TU Bergakademie Freiberg, now presents a second photo exhibition. The exhibition "Between Freiberg and the Antarctic: A Photographic View of Geological Field Research" deals with the scientific work in the field. The exhibition with around 50 photos will open on 19 July and will be on view until the end of the year. The students and prospective scientists of the TU Bergakademie Freiberg and the Helmholtz Institute Freiberg for Resource Technology (HIF) were in the most remote places in the world. Their excursions took them to Morocco, Egypt, Chile, USA, Sweden and even Antarctica. The photographs are taken from excursions and expeditions undertaken by Professors Christoph Breitkreuz, Olaf Elicki, Jörg Schneider and their students, as well as by the research associate Petya Atanasova and PhD student Thomas Heinig. 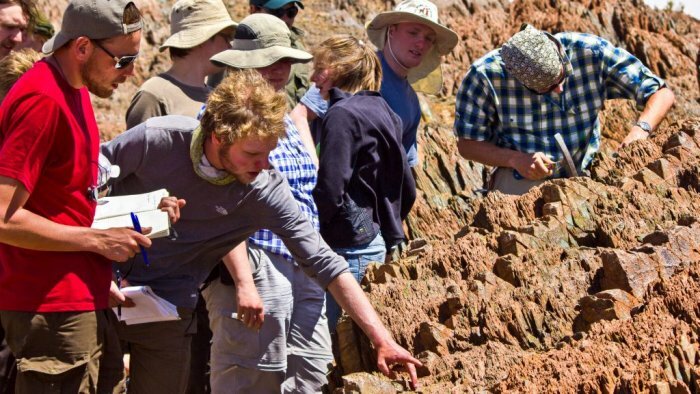 For more than 100 years, expeditions, field work, excursions and field internships have been an integral part of any geology study and scientific work here at the TU Bergakademie Freiberg and also at the Helmholtz Institute Freiberg for Resource Technology (HIF) founded in 2011, that is part of the Helmholtz Center Dresden-Rossendorf and which cooperates closely with the university. In the first field practicals, students practice the basics of hammering and raising the bar to face the challenge on later excursions, even in the shade at 40 ° C, in an unknown country, focused on putting their documentation on paper. The culmination of such cost-intensive fieldwork, which involves many, often months of organizational preparatory work, are the expeditions that take longer. 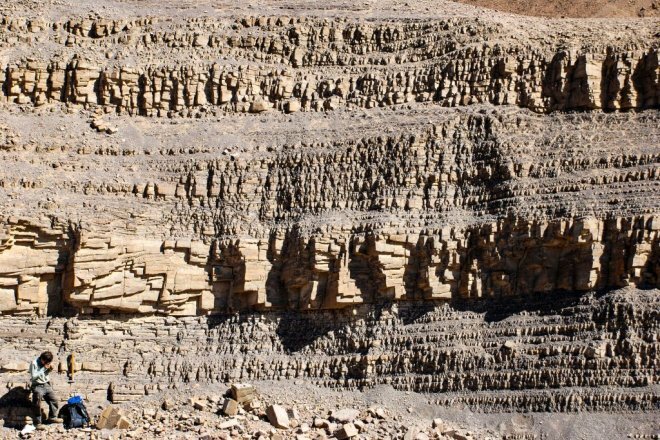 With a very specific research objective in mind, doctoral students and renowned scientists are working together intensively on a geological issue, not infrequently in an inhospitable environment and with uncertain outcome. But also more economically oriented field research is on the agenda, as the research work of PhD student Petya Atanasova from the Helmholtz Institute Freiberg for Resource Technology (HIF) shows. In her research at the HIF, Petya Atanasova is studying the Swedish Norra Kärr deposit for her doctoral thesis. Norra Kärr plays a role in the supply of the EU, as it is one of the largest potential mineral deposits in the EU with heavy rare earth elements (SSEE). So far, China is the main exporter of the rare earths, which are also used for cell phones. Due to the price increase for rare earths in the international market in 2012, research in this field has suddenly gained in importance.